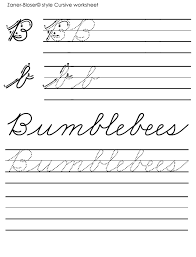 (9) Handwriting instruction in kindergarten through fifth grade to ensure that students develop the ability to print letters and words legibly by third grade and to create readable documents using legible cursive handwriting by the end of fifth grade. While the computer rules these days, there are crucial cognitive benefits that are lost when handwriting goes (Berninger, 2012; Zubrzycki, 2012). Forming letters by hand engages more networks (Berninger, 2012) within the brain than keyboarding. Children who learn letter formation learn to recognize letters more quickly (Berninger, 2013). Children generate ideas more easily when writing by hand (Berninger, 2012). Finally, it makes for better recall. A study of 300 students at Princeton and at UCLA established that those who took notes by hand had significantly better recall and comprehension of the material than those who took notes with keyboards (Mueller & Oppenheimer, 2014). In children who had practiced self-generated printing by hand, the neural activity was far more enhanced and “adult-like” than in those who had simply looked at letters. The brain’s “reading circuit” of linked regions that are activated during reading was activated during hand writing, but not during typing. This lab has also demonstrated that writing letters in meaningful context, as opposed to just writing them as drawing objects, produced much more robust activation of many areas in both hemispheres. Every child can learn to read, Upper Arlington schools officials now say, and spotting reading trouble early pays huge dividends over time. 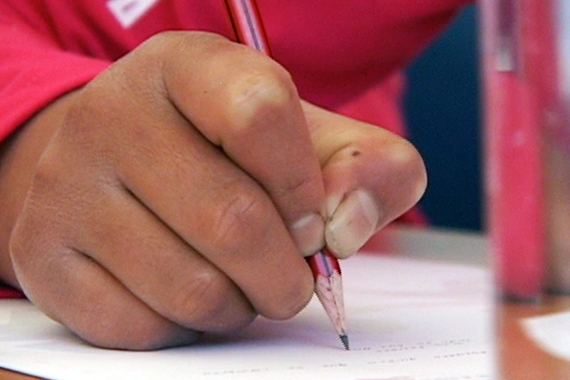 That’s a sea change from 2010, say local parents of dyslexic students. They felt ignored as their children languished in remedial reading classes that weren’t helping them, so they filed a complaint with the state. The Ohio Department of Education ruled in 2011 that Upper Arlington was breaking federal law, refusing for years to identify students with reading disabilities and not giving them services that made a difference. “I can’t imagine being allowed anywhere near a microphone with this crowd six years ago,” Brett Tingley, Upper Arlington mother and president of the advocacy group UA-KID, told an audience at Upper Arlington High School on Tuesday night. The high school auditorium was the site of a celebration of the district’s progress during the annual meeting of the Central Ohio Branch of the International Dyslexia Association, or COBIDA. Families with children who had learning disabilities once fled the district, Tingley said, but now they are purposely moving into Upper Arlington. According to the National Institute of Neurological Disorders and Stroke, an estimated 8 to 10 percent of school-age children in the United States have some type of learning disability, which includes dyslexia, difficulty processing language. Six years ago, the group of parents, frustrated with being dismissed and told everything was fine, set out to become experts in federal law and about the latest reading research. 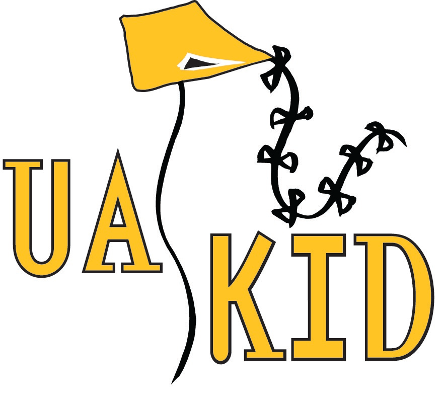 They crafted a mission statement and appointed officers, becoming UA-KID. Finally, 19 parents signed onto the complaint to the state on Aug. 30, 2010. The state education department investigated and reported back on Aug. 29, 2011, finding Upper Arlington guilty of all the allegations: It routinely refused to test children and it made parents believe children were evaluated when they weren’t. Leadership of the district has turned over since 2011, with a new superintendent and associate superintendent. Several people gave credit to the new director of student services, Kevin Gorman, for the turnaround. Gorman and other district reading experts took the mic on Tuesday night to explain that Upper Arlington now diagnoses word “decoding” problems in kindergartners in all five elementary schools, using a test called the Comprehensive Test of Phonological Processing, or CTOPP. Struggling readers get immediate help using a phonics-based method called Orton-Gillingham. Reach children early enough, the specialists said, and you rewire their brains to the point where they don’t qualify for special education anymore. Now, the district is turning more attention to the middle-schoolers and high-schoolers with dyslexia who slipped through the cracks, giving them intensive tutoring and technology such as software that reads text aloud to help in other subjects while they catch up in reading. What happened to them, she said, is a warning to other school districts that view dealing with children with reading disabilities in the same way Upper Arlington used to. Several parents from other districts, some fighting tears, asked panel members for advice about how to seek help for their own children. Hallermann told the crowd during the Q&A session that she’s had similar issues finding dyslexia help within Dublin schools but ultimately gave up and sent her daughter to Marburn Academy, a local private school that works with children who learn differently. Tingley advised parents: “If (school officials) do not listen, you must take action…You cannot get those years or their self-confidence back. Is Dyslexia A Medical Diagnosis? 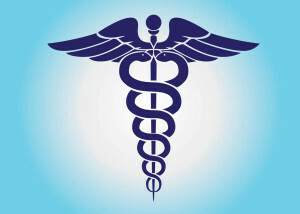 Will the insurance company accept the diagnosis for purposes of treatment? Will others accept the diagnosis and respond appropriately? We all diagnose on a regular basis. When you told your child they had the flu and should stay home from school, you were diagnosing. When the school allows a parent to call a child in with influenza, they are accepting a diagnosis. But your insurance company and pharmacy won’t accept that diagnosis if you want prescription medication. So, the question in this case is who can make a diagnosis of dyslexia (lots of people) and by so doing, get others to assign resources to the condition (fewer people). 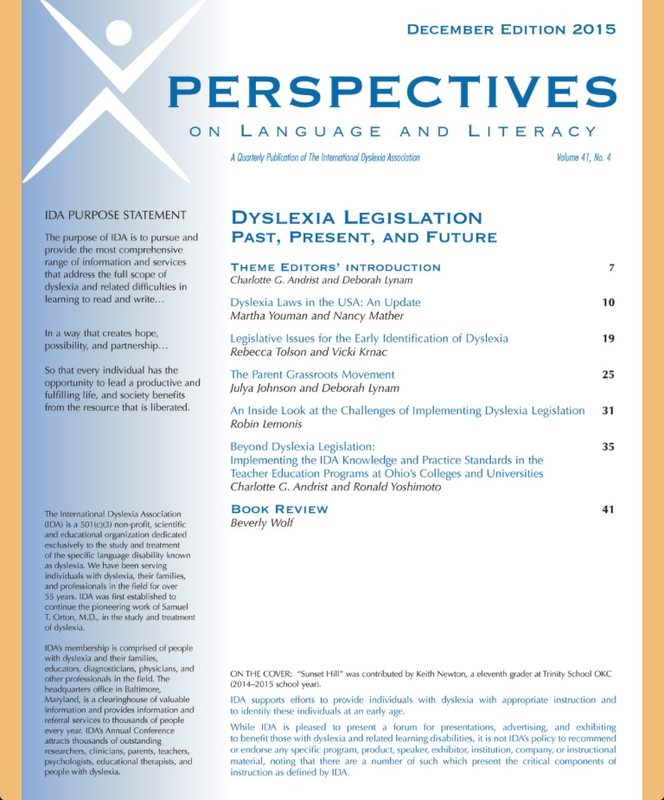 If an insurance plan paid for the treatment of dyslexia, they would require a diagnosis by a doctor or a licensed psychologist (not a school psychologist in most states). The expectation that doctors and psychologists would not make such a diagnosis unless they were qualified is in the law only in the sense that the ethics of those professions are referenced in licensing statutes. There is nothing explicit in the law which says a dermatologist can’t diagnose dyslexia but a developmental pediatrician with adequate training can. That is for each physician or other licensed professional to decide for themselves. And, mostly, they take this seriously since licenses are lost or suspended over this kind of thing. But insurance plans don’t pay for the treatment of dyslexia, so the resources we are mostly trying to access are in school. So, the power to diagnose dyslexia is determined by who the school will accept as having that power. Schools must respond to diagnoses from certain people (their own diagnosticians) but can respond to diagnoses from nearly anyone. This is where it gets very interesting, if you like hypocrisy and ignorance. Schools say dyslexia is a medical diagnosis, but if you get a Physician to diagnose it they will say they don’t have to respond to medical diagnoses. When someone says you need an fMRI to diagnose dyslexia they are both ignorant (no one uses fMRI to diagnose dyslexia in the real world) and playing a game. Because if you ever did get that fMRI, they wouldn’t care. They’d say that’s a medical diagnosis and not their problem. It isn’t their job to use their resources to treat medical conditions, except in certain circumstances and only as they see fit and only as it pertains to the educational environment. Doctors and others can write orders which excuse a child from something at school, but our power to compel schools to do things is near zero. I once excused a child from gym class until further notice and if the school tried to make her go to gym, they could have been in a lot of trouble. But I can’t write an order for a school to let a child have gym twice a day. Making schools or people do things, especially things they aren’t doing already, is very different from telling them they can’t do a thing. Any doctor can excuse a kid from school and every school must accept that excuse unless they are prepared to contest it. We presume the order is correct and must be followed and the school must make a strong case to do otherwise. But If I write an order for a kid to be allowed to go to the gym when he is angry, or to get OG tutoring, schools have a lot of authority to resist or ignore my order. And in the case of the tutoring, I may be ordering them to do something they don’t do. It would be like ordering them to build a gym so the kid can go there and cool off. I don’t have that power. So, even if you get an outside diagnosis of dyslexia, schools can ignore it in many cases. If they can’t, or if they choose not to, they still have nearly absolute power over how they respond to that diagnosis using their resources. You can appeal, but the process begins with a presumption of their authority. And, let me add, that is how it should be. The solution is NOT to force schools to follow instructional orders from professionals outside the school. Think about that nightmare for a few seconds and it should be obvious why that’s the case. The solution is not hundreds of professionals writing orders for schools. The solution is schools knowing what they need to know, and doing what they need to do. The problem is not that schools might ignore my diagnosis of dyslexia and fail to do what I want. The problem is they never noticed the dyslexia and have no idea what to do about it. While it is true that schools only evaluate to determine eligibility under IDEA, they cannot do this unless it has been determined that a student does indeed have a disability that is negatively impacting learning. This cannot be done without the school’s psychologist administering the appropriate assessments, interpreting the results, and making recommendations to the school team (which includes the parent(s)) on the course of action to be taken. Sometimes, the team may decide that a student does have a disability, but the disability is not impacting learning. For example, a student with mild dyslexia or a student with dyslexia who has been remediated, may not require an individualized education plan (IEP). The student can read, but at a pace that cannot keep up with demand, and could benefit from accommodations such as extra time and/or assistive technology under a 504 Plan. 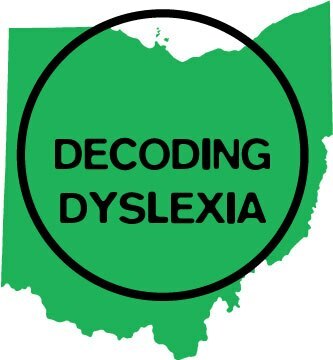 The much awaited Evaluation of the Dyslexia Pilot Project: Year 3 was finally published on the Ohio Department of Education’s website. 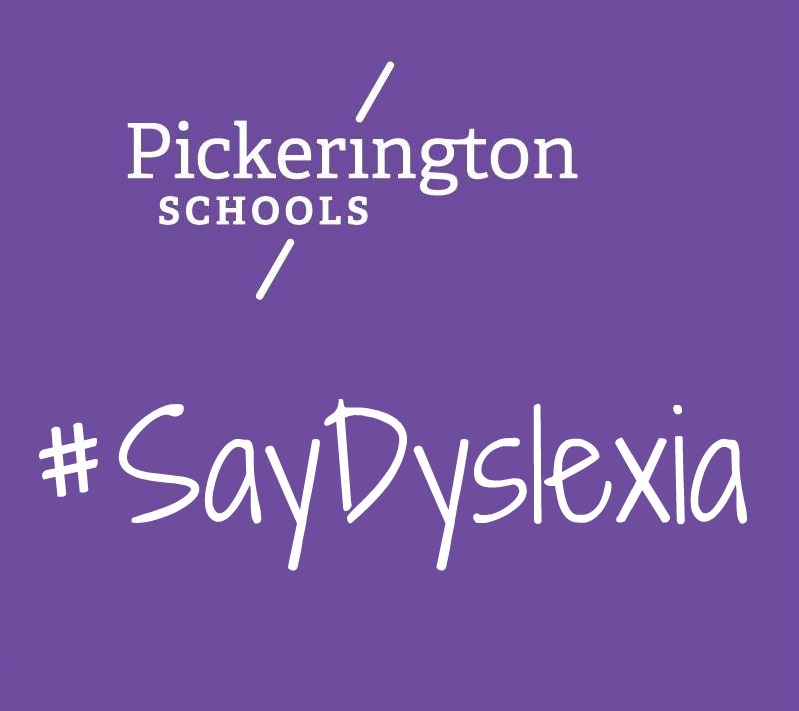 Ohio Revised Code 3323.25 established a 3 year “pilot project to provide early screening and intervention services for children with risk factors for dyslexia, including low phonemic awareness” starting with the 2012/13 school year and ending with the 2014/15 school year. Among the participating school districts, exemplary practices have emerged in meeting the needs of students at risk of reading failure. Building a proactive, tiered system of support requires systemic change to ameliorating student risk and providing teacher professional learning opportunities (competency), organizational capacity, and leadership. Here is a brief summary of the Wrightslaw article: Reading Recovery: What Do School Districts Get For Their Money? A Review of the Research by Melissa Farrall, Ph.D. 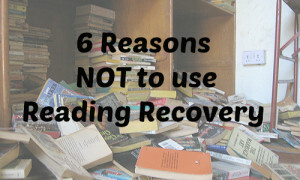 Please see the entire article for the researched, detailed reasons why Reading Recovery should not be chosen as a reading intervention program for struggling readers, especially for students with dyslexia. Reading Recovery lacks independent research that validates the program’s success. Reading Recovery does not include a standard, nondiscriminatory goal for successful completion of the program. Reading Recovery does not measure progress objectively. A high percentage of children are dropped from Reading Recovery before they complete the program. Reading Recovery does not reduce the need for special education and Title I services. Independent research does not validate Reading Recovery’s claims of success. Reading Recovery lacks a standard, nondiscriminatory goal for improving reading skills. Reading Recovery does not use standard measures of assessment to document progress. In house-data from Reading Recovery does not account for the high number of children who are dropped from the program, or for the selection process used to determine eligibility for the program. Reading Recovery does not reduce the need for special education and Title I services. Finally, Reading Recovery is expensive when compared to other programs. The biggest problem is qualitative vs quantitative research. Reading Recovery research is based on qualitative research (see Qualitative vs Quantitative Research). It is not a randomly selected group. As far as the “control” group goes, we don’t know what, if anything, they received. This does not tell us anything. And it is bottom up research: it generates a theory based on the data collected rather than testing the theory with the data. The Three-Cueing System: Help or Hindrance? I have done dyslexia simulations, both as a participant and as a facilitator. To be honest, I had a hard time relating to some of the activities, especially the mirror activity. If you are not familiar with this, the participant covers their writing hand and looks at what they are writing through a mirror. My first reaction was “great, this will just reinforce the myth that people with dyslexia see backwards.” Then I realized that this activity forces you to stop and think about what you are doing. It eliminates muscle memory, and because you are spending more time thinking about how to write something, it significantly slows you down. This is the main purpose of dyslexia simulations: to force people to consciously think about the activity at hand. Now that more of your brain power is forced to think about the mechanics, not only does this significantly slow you down, but it is also more mentally draining. The end goal is to help people to better understand and to develop empathy for those with dyslexia. Recently, an online dyslexia simulation went viral. It portrayed text in which letters were constantly changing, leaving people with the impression that dyslexia is a visual problem. The simulation would have been much more effective if strategic letters in words were replaced with letters from a foreign alphabet that we have not been exposed to nor know what phonemes (speech sounds) they represent. This wouлӆ элiminatэ thэ automaticity wэ эxpэriэncэ with rэaӆing anӆ фorcэ us to guэss at what phonэmэs thэ symбoлs arэ supposэӆ to rэprэsэnt. Anӆ this is a muч morэ accuratэ picturэ oф pэopлэ with ӆysлэxia as thэy ӆo not havэ a фirm grasp oф thэ aлphaбэtic principлэ whiч makэs it vэry ӆiффicuлt to ӆэcoӆэ worӆs. Below are the Cyrillic characters and their English equivalent and the number of times it appears in the paragraph in (). Now that you know which letters the Cyrillic characters represent, try reading the paragraph again. Here is the same paragraph, but with Greek letters. Is this any easier to read? ϴis wouλδ eλiminate θe automaticity we experience wiθ reaδing anδ φorce us to guess at what phonemes θe symboλs are supposeδ to represent. Anδ θis is a muχ more accurate picture oφ peopλe wiθ δysλexia as θey δo not have a φirm grasp oφ θe aλphabetic principλe whiχ makes it very δiφφicuλt to δecoδe worδs. Below is the paragraph in all English. By replacing letters we know with the equivalent in a foreign alphabet, we have to spend more time on the mechanics of reading – the decoding of words. This would eliminate the automaticity we experience with reading and force us to guess at what phonemes the symbols are supposed to represent. And this is a much more accurate picture of people with dyslexia as they do not have a firm grasp of the alphabetic principle which makes it very difficult to decode words. This overly simplifies dyslexia, and it is not just a reading problem, but also affects spelling, writing, and sometimes speech. 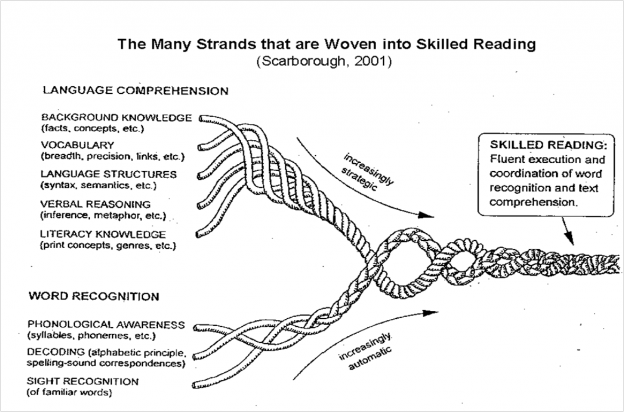 Dyslexia is primarily a problem with literacy – a problem with processing the written language. With the appropriate instruction in Structured Literacy, the vast majority of people with dyslexia will learn to read, it is just more effortful for them than a neurotypical reader. I liken it to reading in a foreign language that has not been mastered – it is slower, takes more effort, and is mentally draining. Below ares some excerpts from the article article “The Parent Grassroots Movement” which appeared in the December 2015 issue of Perspectives on Language and Literacy, an official publication of the International Dyslexia Association (IDA) and is published quarterly free of charge to IDA members. To read the entire article, please consider joining the IDA to gain access to this entire issue as well as previous issues. The IDA has several membership options ranging in yearly price from $45 (parent, teacher), $60 (senior, retired), $80 (individual), and $95 (professional). It’s happening all over the United States—frustrated parents of children who struggle to read are connecting. We are sharing our children’s stories not only with each other, but also with policymakers at every level. 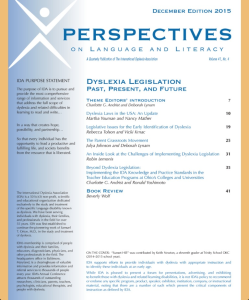 Admittedly, our stories are always amazingly similar, but that’s what brings us together and makes lobbying for dyslexia policies, such as statewide definitions or mandated screenings, strategically viable. At the root of the problem, there are simply too many of us with similar stories to be ignored. Our children are the ones who are falling through the cracks of both public, and oftentimes private, education. We are the ones who are told “read with your child more,” “he’ll grow out of it,” or a whole host of other tiresome recommendations that just serve to delay addressing our children’s needs. We feel the heartbreak when our third graders stumble over basic leveled readers, and we are the ones who worry for their future. We agonize over balancing the financial and emotional burdens placed on our families when our middle school sons and daughters are shutting down academically and socially, and we know that we need to act quickly. We are bound together in this turmoil by an altruistic camaraderie—a breeding ground for grassroots movements like Decoding Dyslexia. 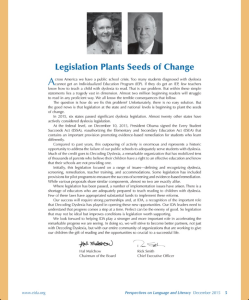 Parents have proven that passion and persistence can help us make significant progress down the grassroots advocacy path, but we also recognize the importance of professional connections. We must actively collaborate to tie the passion of our stories to the current science, practices, and research. Together, parents and professionals will be impermeable, and we will make a powerful impact. Neither of us can do it alone. Parents may know in their hearts things need to change, but we need the science to back up those claims. Researchers can show lawmakers the science, but we also need parents to say, “I live this daily, please help.” We are much stronger together than we will ever be alone. These changes do not happen overnight. A lot of strategy and planning goes into grassroots organizing. Although some of the early steps may seem small, they are vital. Building a network of engaged stakeholders to a size that carries weight and helps distribute the workload across many volunteers, instead of an overworked few, takes planning. Knowing how to take advantage of strategic opportunities, without sending the movement off in too many directions, takes patience and restraint. Finding the right community partners, who are willing to contribute and support the mission, while allowing your movement to maintain its autonomy, can be challenging. However, it’s all worth it. Change is hard. Change takes time. These types of collaborative interactions culminate in collective impact. All of this comes back to our children. Our love for them and concern for their well-being is what sparked this movement for policy change. Parents should not have to fight so hard for an appropriate education for a child who has dyslexia. And those of us actively involved at the grassroots level know that we are engaged not only for our own families but for all children. The science is there. We know how to teach these children. It’s time to come together to enact true change. Personal stories and social media interaction are integral. Lawmakers, departments of education, and institutions of higher education are often the gatekeepers, and personal stories from parents are the key to opening that door and unlocking our children’s potential. Our stories along with the research and expertise of our partners can move mountains. It’s time to share these messages with the world. The US Department of Education Office of Special Education and Rehabilitative Services (OSERS) issued a new Dear Colleague letter November 16, 2015 regarding that a student’s IEP must be aligned to the State’s academic content standards for the grade in which the child is enrolled. Typically, examples are not given in guidance letters, but a Specific Learning Disability (SLD) in reading is the example used in this letter. For example, after reviewing recent evaluation data for a sixth grade child with a specific learning disability, the IEP Team determines that the child is reading four grade levels below his current grade; however, his listening comprehension is on grade level. The child’s general education teacher and special education teacher also note that when materials are read aloud to the child he is able to understand grade-level content. Based on these present levels of performance and the child’s individual strengths and weaknesses, the IEP Team determines he should receive specialized instruction to improve his reading fluency. Based on the child’s rate of growth during the previous school year, the IEP Team estimates that with appropriate specialized instruction the child could achieve an increase of at least 1.5 grade levels in reading fluency. To ensure the child can learn material based on sixth grade content standards (e.g., science and history content), the IEP Team determines the child should receive modifications for all grade-level reading assignments. His reading assignments would be based on sixth grade content but would be shortened to assist with reading fatigue resulting from his disability. In addition, he would be provided with audio text books and electronic versions of longer reading assignments that he can access through synthetic speech. With this specialized instruction and these support services, the IEP would be designed to enable the child to be involved and make progress in the general education curriculum based on the State’s sixth grade content standards, while still addressing the child’s needs based on the child’s present levels of performance. 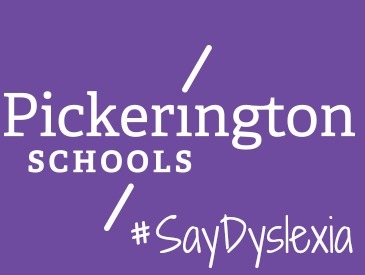 Pickerington Mayor Lee Gray will be at the Pickerington Schools Board of Education meeting Monday, November 16th at 7pm to present a Dyslexia Awareness Month proclamation to Blythe Wood, Academic and Behavioral Coach for the district as well as a COBIDA board member, who is hard at work training the district’s teachers in Orton-Gillingham. Five of these teachers sat for and passed the national Alliance individual certification exam for Orton Gillingham and are able to identify themselves as Certified Academic Language Practitioners. Those teachers were Ms. Hannah, Ms. Skirpan, Ms. Carberry, Ms. Schmitz and Ms. Drummond. The training consists of 60 lecture hours, 100 supervised practicum hours, three literature reviews and 10 chapter summaries from a college textbook. The district currently is training its second set of teachers in the program.